“The measure of a Life is its Service,” reflects the importance of what it means to serve others at Sam Houston State University and beyond. 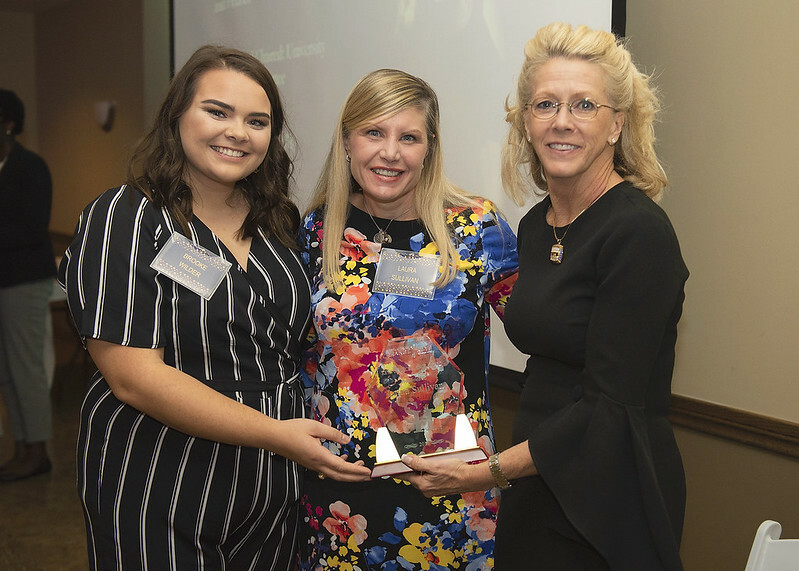 One of SHSU’s most prestigious student organizations, the Orange Keys, honored faculty and staff who have impacted them during their time at school in the annual Keys of Excellence celebration. For Keys of Excellence, each Orange Key nominates one faculty or staff member and provides a letter discussing the positive influence they have made at SHSU. A total of six winners are chosen every year from these nominations. This year’s recipients are Dana Bible, Benita Brooks, Rachel Erickson, LeeAn Muns, Laura Sullivan and Edie Wells. Orange Key Diamond Dickson selected Mass Communication Operations Manager and Lecturer LeeAn Muns as her nominee to thank her for the difference she has made in her education. Each Orange Key provided a speech for the six selected winners in addition to an honorary award being gifted.